Dr Joe Okei Odumakin has described Nigerian workers, as the lifeline of the Nigerian economy and the greatest asset required by Nigeria, to attain its desired level of productivity, as a Nation. 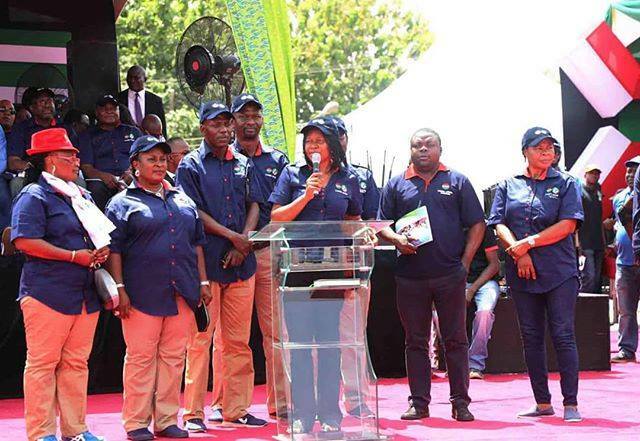 Dr Odumakin, made the statement, during her Special Address at this year Worker’s Day celebration, jointly organised by the Lagos State chapters of the Nigerian Labour Congress(NLC) and the Trade Union Congress (TUC). Government, for the regular and prompt payment of workers in the State’s Civil service urged the FG to implement the 56,500 minimum wage. She also called on Nigerian workers, to see their participation in the forthcoming elections, as a priority. She urged all workers to get their permanent voters cards and take the Centre stage, in determining how the country is governed henceforth.